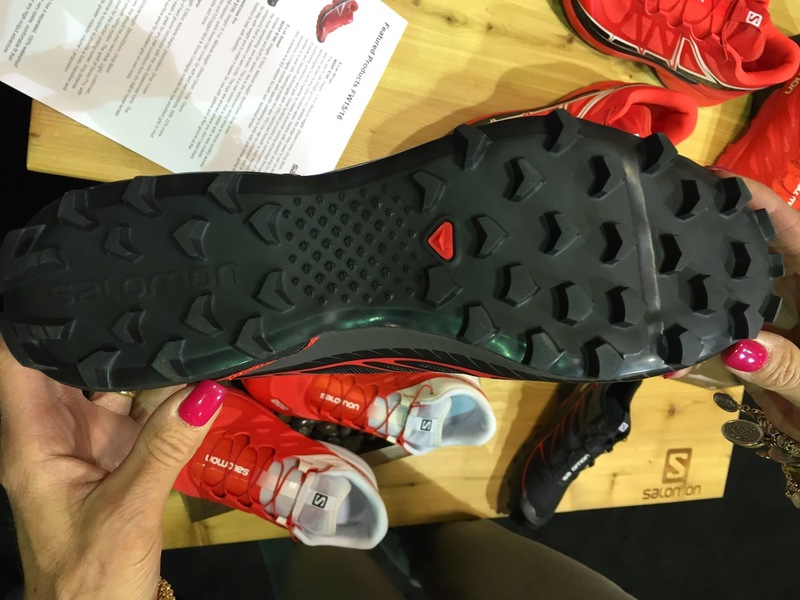 Salomon finally launched an S-Lab trail shoe, the S-Lab Wings "for the rest of us" i.e. for runners not quite as agile on any terrain as Kilian Jornet.... something I could run in. The S-Lab Wings is 9.9 oz with 11mm forefoot/ 20mm heel. The price is a steep $180 but you get what you pay for at the S-Lab, the highest quality materials and immaculate functional design. My 2014 Innovation, Gear, and Apparel of the Year (here). 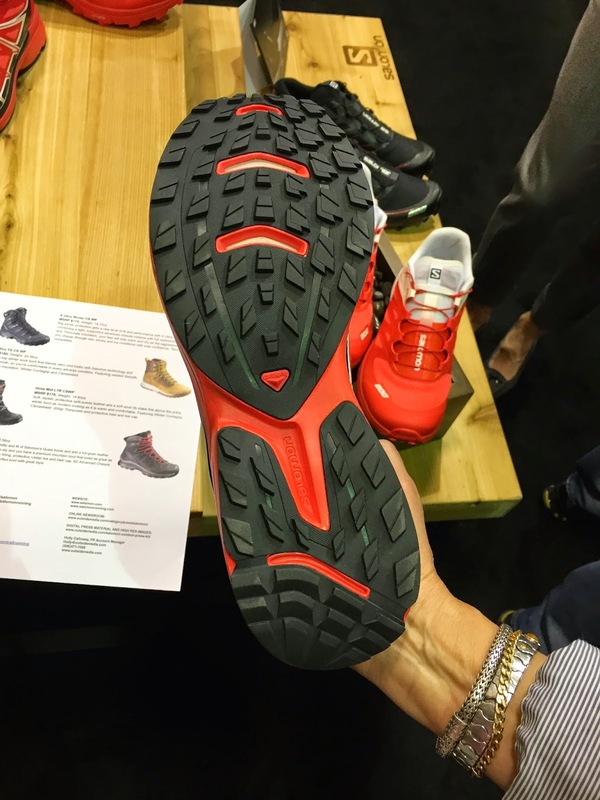 The S-Lab Wings has a relatively beefy outsole of Contragrip. 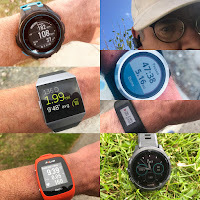 The literature says the S-Lab Wings is designed to "give our athletes an advantage on technical terrain and dry terrain in ultra-distance races." For those seeking even more grip in sloppy terrain there is a Soft Ground version with even beefier lugs reminding me of the adidas Terrex Boost. 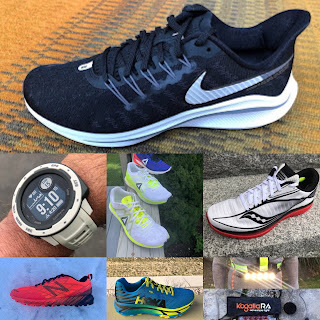 The S-Lab Speed is a 9.35 oz, 9mm heel 5mm forefoot for wet ground racing with an outsole material claimed to be superior on wet rocks. Lugs are shaved where you don't need extra grip. MSRP $180. A stripped down wet conditions racing machine. Salomon also launched two Speedcross variants both $150. The Speedcross Pro is 9.7 oz 20mm//10mm for soft ground with 22% more surface area for mud, wet rocks, and snow. The Speedcross Vario is a 9.59 oz 20mm/10mm for running on hard ground conditions. The mesh is claimed to breathable and anti-debris. The outsole has 62% more surface area for grip on wet rocks.